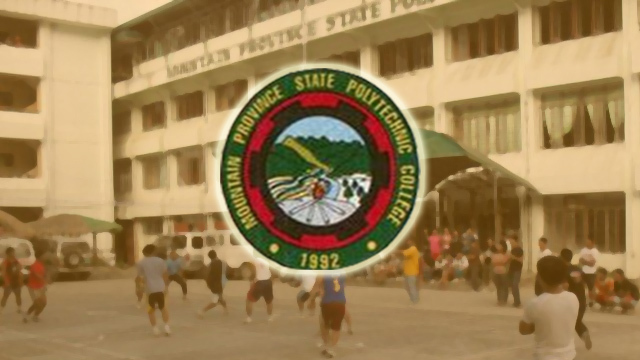 BONTOC, Mountain Province – Mountain Province State Polytechnic College (MPSPC) will be conducting a Student Research Forum on April 8, 2019 as part of the activities for the celebration of the Golden Anniversary of the College. Aside from the student researchers of MPSPC, guest presenters from Sekolai Tinggi Ilmu Ekonomi (STIE) Perbanas, Indonesia will be presenting their researches in the Social and Business areas. Researches on socio- cultural, education, AFNR and health sciences, and engineering and technology will be presented as well. Professor I-chun Chen, an associate professor of the Department of Cultural Heritage Conservation, National Yunlin University of Science and Technology of Taiwan will be engaged in the forum not only to share his insights and expertise as the keynote speaker but also to serve as an external evaluator during the parallel sessions. The delegation from STIE Indonesia came on April 5 and was welcomed by the College officials and students. After the welcome program prepared by the College, the Indonesian guests were accompanied to Sagada, Mountain Province to visit the prestigious tourism spots at the same time explore the place an as ecotourism hub and cultural exposure. “This year’s undertaking will offer a unique opportunity for dedicated student researchers to discuss and present their worthwhile research endeavors with external evaluators and faculty ultimately aiming to boost their researches. In addition, we hope to build more connections with our neighboring countries in our effort to globalize our programs and the institution as a whole. In fact, we want to further strengthen our indigenous education therefore we are seek to widen our understanding of how we view culture and indigenous education for us to attain the best possible practices that we can use in instruction and indigenous-related researches, ” said Vice President for Research Development and Extension Dr. Annie Grail F. Ekid. “MPSPC, being one of the higher education institutions catering to the needs of indigenous communities in the Cordilleras, the College has been continuously in pursuit of promoting indigenous knowledge, skills, systems and practices in view of its mission to produce globally competitive graduates. These partnerships enhance the capability and skills development of the students as they will be exposed to the different practices, research works and programs that these schools offer,” College President Dr. Rexton F. Chakas added. Activities for the Golden Anniversary celebration includes the Foundation day parade and program on April 10,2019, MPSPC employees’ dual meet on April 10-11, 2019, Mabuhay Pasasalamat for Retirees and Local Linkages and Frolics competition on April 11, Regional Annual Administrative and Tactical Inspection (RAATI), MPSPC Milestone competition on April 12, and Philippines Intellectual Property Rights orientation- seminar April 16.